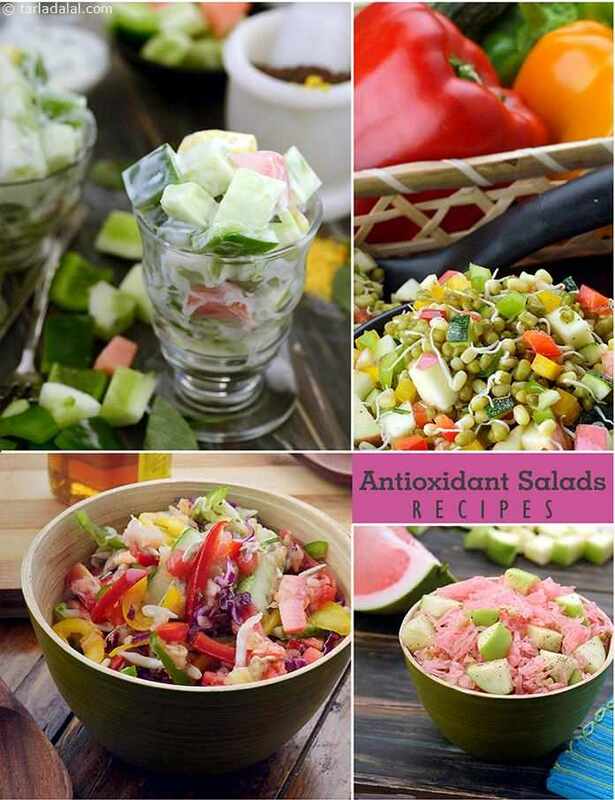 Including salads to your daily meals can help you in adding antioxidants to your diet. Salads are the healthiest option if you’re on a weight loss diet. They provide you the necessary vitamins and minerals along with fiber. There are many benefits of including salads to your diet like regulating your bowel movements, meeting your daily allowances of vitamins and minerals, weight loss or weight maintenance. These are best consumed immediately to benefit the most from their antioxidant content.